Iniesta is inexplicable. I am increasingly convinced that he is not simply playing football, but is instead practising some form of obscure and deceptively basic martial art. This morning, I sat awake watching a video of his highlights from the Copa del Rey final against Sevilla, which Barcelona won 2-0. Iniesta, despite strong showings from his team-mates, was widely acclaimed as the man of the match. If you watch that video – and good luck only watching it once – you will see one of the world’s most seasoned cup sides flailing in Iniesta’s wake. Actually that’s not true. They’re flailing even before he gets there. Because everyone knows what Iniesta’s going to do and where he’s going to be, but no-one’s got a clue how to prevent it. There are times in that video when Iniesta’s advance through opposing challenges seems as unstoppable as radiation itself. What’s perhaps most remarkable about him is that he seems to do what he does with so few tools. It’s as if the world’s best samurai invited him to a swordfight, and then he beat the lot with a pair of chopsticks. It happens year after year, final after final, and the only thing as inevitable as his brilliance is the fact that, years from now, a traumatised group of his man-markers will be sitting together in a suburban pub, still trying to figure out how he did it. My new articles for The Economist on innovation and the future. Late last year, I was commissioned by The Economist to write some articles on innovation and the future. I thought I would put them in one place, in case you’d like to read them in a spare moment or two. I hope you have time to take a look, and that you enjoy them. What a beautiful, noble aim. Just last night, when news of the Paris attacks first broke, I and some fellow team-mates had been watching a friend – one of our first-choice centre-backs – launching his new single. (He’s a singer-songwriter in that late-Sixties style, really good actually. He is definitely a case of “you should probably give up the day job”. This weekend I am indulging in two of my favourite things: watching football, and playing live music. Of course, these are two of the things that Parisians were so enjoying just before the horror. And there was something so overwhelming, so jarring, so futile about watching the news develop on our smartphones, knowing that the innocence of a night out just like ours was being torn away forever. So, at a time like this, how can we respond? Well, I can only speak for myself, but I will try to respond in two ways. First of all, with bravery. And by bravery I don’t mean lust for retribution – for any response obviously needs to be considered calmly and carefully. By bravery I mean trying to be more kind and compassionate than ever; by critiquing and rejecting extremism wherever I can. And secondly, wherever possible, I will try to respond with gratefulness. My world was not broken apart last night, nor has it been touched by the desperation faced by so many refugees. And so, in that spirit of gratefulness, I will try to be that little bit better a son, brother, and human being; and, maybe, even that little bit better a footballer. Because this brief, gentle, fragile life is all that we have, and I will set forward to live it with as open a heart and with as much optimism as I can. And so, now all that’s said: Go Inter. FIFA and Loretta E. Lynch: a milestone for black women. Several of FIFA’s senior officials have been arrested on charges of corruption, news which has been welcomed by very many people outside the organisation (and, I suspect, more than a few within). The person leading this effort is Loretta E. Lynch, the US Attorney-General, who has only been in her job a matter of weeks. Lynch is the first African-American woman to hold this post, and here she is, holding possibly the most powerful organisation in world sport to account. This is, I think, a milestone for black women. At times like these, I look back at the history of civil rights activism, and consider those who fought just so women just like them could one day have access to the same opportunities as their fellow citizens. Regardless of how these charges against FIFA go, I believe that the very fact that Lynch is here to make them is historically important. It is probably important today, too. When speaking with several of my black female friends, I see how many of them – despite their considerable success in their various fields – still experience remarkable self-doubt, as if they do not feel worthy of even greater platforms for their talents. That self-doubt is often derived from a world which through the twin stings of racism and sexism frequently tries to hold them back. I doubt that Lynch herself will stop to reflect on this moment – for her, it is probably just one more day in an outstanding career – but many black women, those long gone and those yet to come, may thank her for showing that someone just like them can make it as far as she wants to. And, somewhere out there, I hope that countless ancestors – among them Sojourner Truth, Mary Church Terrell, Rosa Parks – are raising a glass. I used to follow basketball almost as closely as football, with my fanaticism for it peaking in my mid-to-late-teens; virtually every morning, I still check ESPN for the overnight scores from the NBA. Today I woke to see what had happened in Game 3 of the Western Conference semi-finals between Houston Rockets and the Golden State Warriors, and in one sense I needn’t have bothered. Steph Curry, the Warriors’ point guard, gave yet another demonstration of his genius, scoring 40 points as his team overwhelmed the Rockets by 115 points to 80. Curry, like every elite athlete before him, is a contradiction: he is utterly predictable, yet wholly unpredictable. He is predictable in, every single time he advances down the court, you know the nature of his most dangerous tool — his three-point shot, which is probably the greatest his sport has ever seen. Yet he is unpredictable, in that you never know quite when he is going to release it. In this sense, he is similar to the Brazil striker Ronaldo, whose own uniquely devastating move was the stepover: in Ronaldo’s case, his feet would flurry around the ball until he veered off with it to his left, a technique honed to such a point that it was irresistible. Curry is currently performing at such a level that, on any given night, it is he who chooses whether or not he will excel: his opponents, despite their most desperate attentions, seem to have little or no choice in the matter. Watching a video of his highlights from earlier this season, it occurred to me that he is essentially a human version of a Vine: each time he releases the ball, its arc towards the basket is one of identical beauty, as though he were playing himself endlessly on repeat. This is the monotony of excellence, the majesty of routine: where the athlete has achieved such supreme command of their gifts that, even as they are scoured by a thousand cameras and millions of eyes, they may as well be at home alone firing jump-shots towards that rusty, unprotected rim. Last December, as part of an event held by Philosophy Football to mark the role that football played during the Christmas truce in World War One, I performed the poem below. 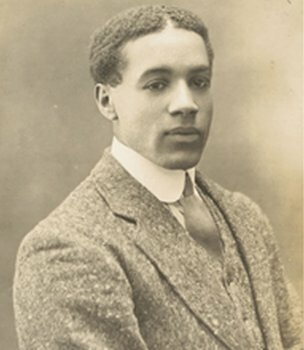 “Searching for Walter Tull”, which I was commissioned to write for that event, reflects on the life of one of the first black professional footballers in the UK (for Clapton FC, Northampton Town and Spurs), and the first black man in the British Army ever to lead his white peers into battle. As the day of my reading drew closer, I found myself more and more moved by his story, and the reality that the best and the bravest of human beings too rarely get the lives that they deserve. The title of this piece refers to the fact that his body was never found; but, despite that, he still left a remarkable legacy behind. His life was the ink that stands out on history’s page. But who died in World War One’s injury time. Life handed him the red card. A black officer leading his white peers into the hungry mouth of War. So loved was he by his men, that they risked their lives to recover his body after his death. And, a century after his death, we are still looking for him now. When the humanity of Britain’s immigrants is being so furiously denied. An ode to the World Cup, for the BBC World Service: “Rio”. It’s halftime at the Copacabana, just under an hour after we have arrived here, on a subway train where judging by their football shirts everyone seemed to be Neymar. Back then, as we walked to the beach, cool, tree-shaded streets were turned humid with the body heat of thousands. Now we are seated, either on deckchairs or with knees pressed up against our chests, watching a mile-wide screen on which Brazil play Mexico. Watching this match from up on the hill, Christ the Redeemer has the best view of all. Jesus, whose statue is a sort of compass by which you can judge wherever you are in the city, will later be illuminated in the dying sunlight in yellow and green, a privilege that God’s son is only afforded whenever Brazil play. Right now, it’s that time and temperature of afternoon when almost anyone can be convinced to smoke socially. Our cans of cold beer, helpfully branded Antarctica so that we won’t notice even when they turn warm, are planted up to their waists in the soft earth. New friends – three French, one Andorran, one English – pose for a photo in their Brazil shirts; caramel-tanned, they all look like natives. Later, one of them, in as much a commentary on the host’s performance as the quantity of homemade caipirinha that he has consumed since midday, will fall asleep during the second half. Later, we will all crane our necks in vain anticipation towards Neymar, who will spend that second half entirely as he spent the first; pursued by two or three defenders at a time, like a bank robber whose security guards have been warned of his precise movements six months in advance. Later, we will half-heartedly curse and then loudly praise Ochoa, the Mexico goalkeeper who will deny an entire beach; grumbling good-naturedly, hundreds of men will amble down to the water and piss two hours’ worth of drink into the sea. The only ones not grumbling will be the small and faithful cohort of Mexicans, and a raucous band of Argentines; there are supposedly sixty thousand of them in Rio, and half of them will apparently spend the match two rows in front of us. Soon, by 6pm, it will be midnight dark, and I will score my first ever goal on the Copacabana, during a game with fellow fans and locals; and I will jog away casually, pretending not to be filled with childish pride. Later still, the concert at the nearby FIFA fan site will continue into the evening. For now, though, there are fireworks and baile funk and barefoot dance-offs with ice-cream sellers, and I am wishing that this halftime’s final whistle never comes. An Open Letter To Dani Alves From Armchair Liberals! We now feel cheated because your reaction to racism was not as spontaneous as we had hoped! Cheated of what, we do not know! Please be sure in future to respond to racism in an uncalculated manner. Freestyle it, if you will! We were so disappointed that your banana protest was not off-the-dome. Next time, show us unscripted struggle so we know it’s real! Yet you are certainly not a monkey. A monkey would perform to carefully-dictated order. Your protest was the opposite! But back to us! God forbid that you should take it upon yourself to plan a response to months of humiliating racist acts in your place of work! Thank you Dani! We’re not sure what we’re going to do about racism in football, but we’re sure that we’re disappointed in you!